You may recall last week I blogged about volunteering for the weasel workers at the World Cup in Whistler. 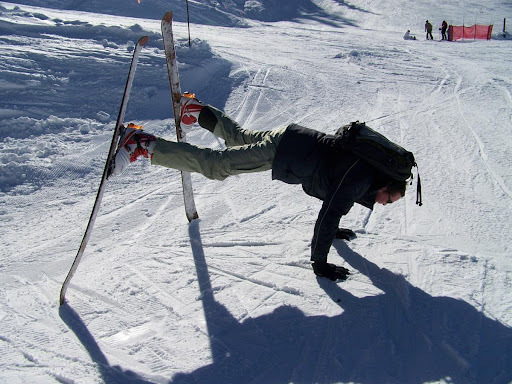 I forgot about this picture showing the correct posture for doing world-cup-alpine-push-ups. This photo and more from the Whistler Alpine Volunteer's photo gallery.